Baxa introduced the Exacta-Med Dispensers in 1975 for use in hospitals to provide a safer alternative for dosing oral liquid medications than a hypodermic syringe. Exacta-Med Dispensers provide safe oral and enteral medication delivery by eliminating the risk of wrong-route administration. The system's non-luer components cannot actuate a needleless valve or connect to a hypodermic needle or fitting. Oral dispensers are recommended by the Institute for Safe Medication Practices (ISMP) to reduce the opportunity for med errors. If you have any questions about this product by Baxa, contact us by completing and submitting the form below. If you are looking for a specif part number, please include it with your message. 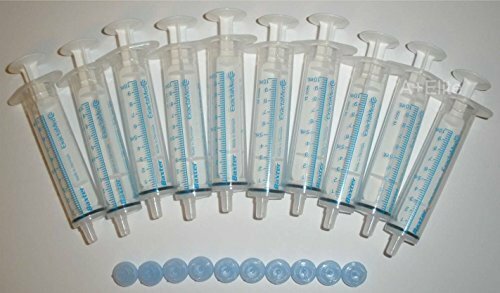 Kruuse Buster Pet Pill/Tablet Syringe with Classic Tip (2 pack).